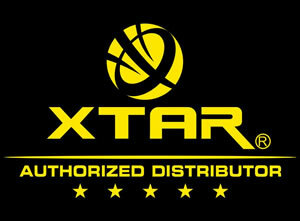 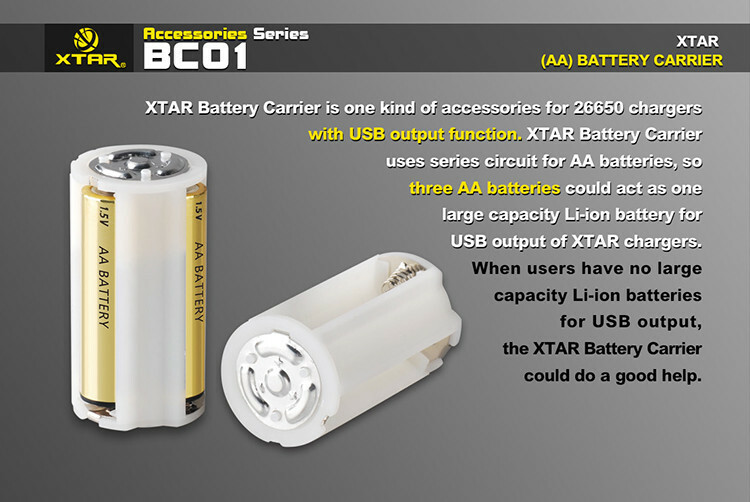 XTAR Battery Carrier is a one of a kind accessory for 26650 chargers with USB output function (e.g. 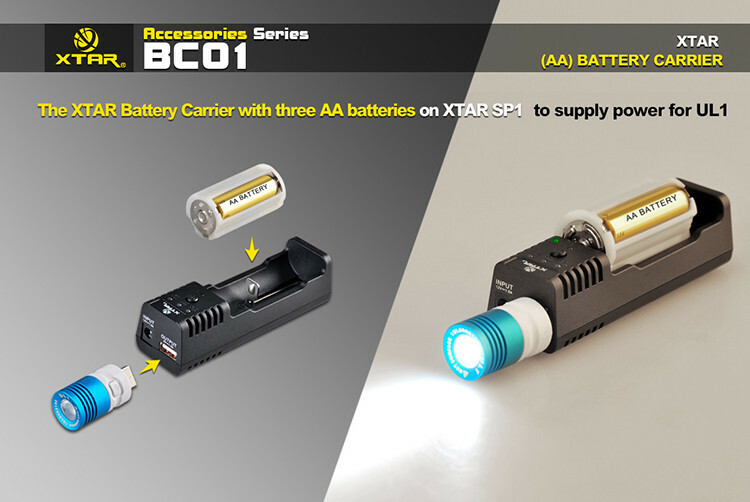 VP2 and MC1). 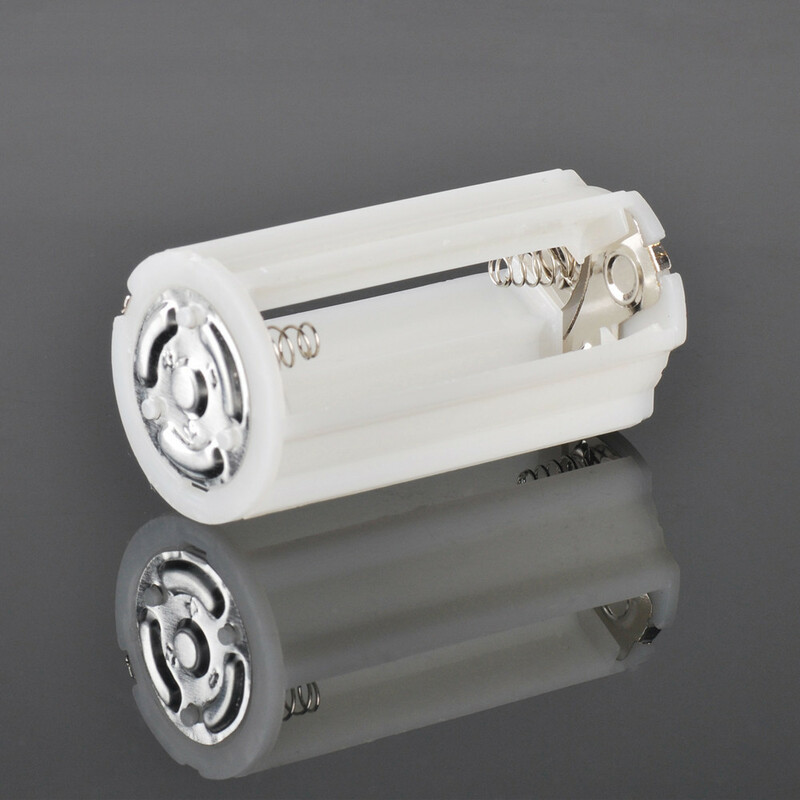 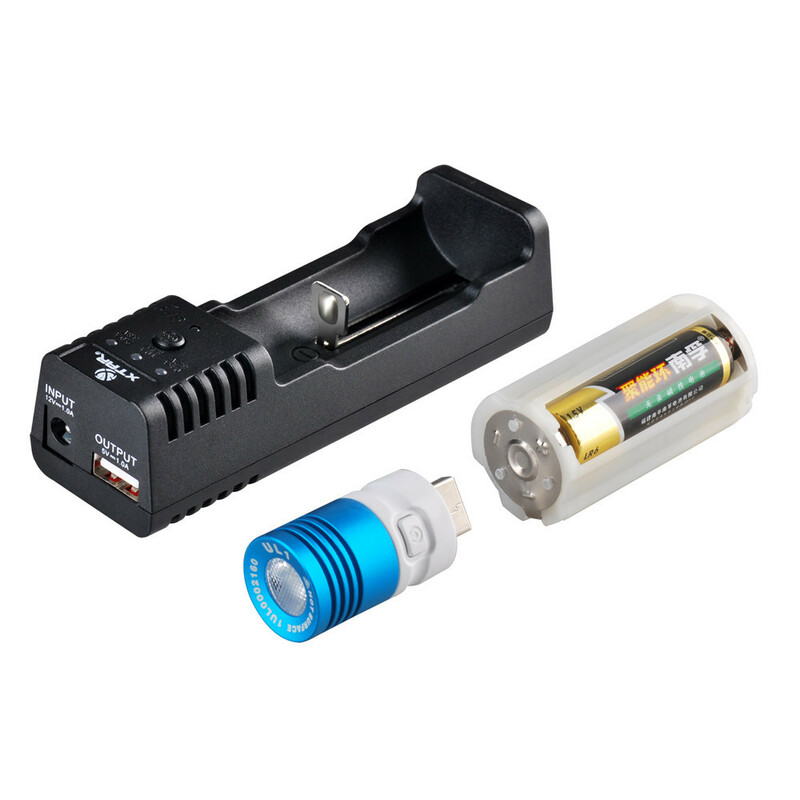 With this battery carrier you can install up to three standard AA batteries and then insert this battery holder into your VP2 charger or MC1 charger and use the USB output function as a USB battery backup. 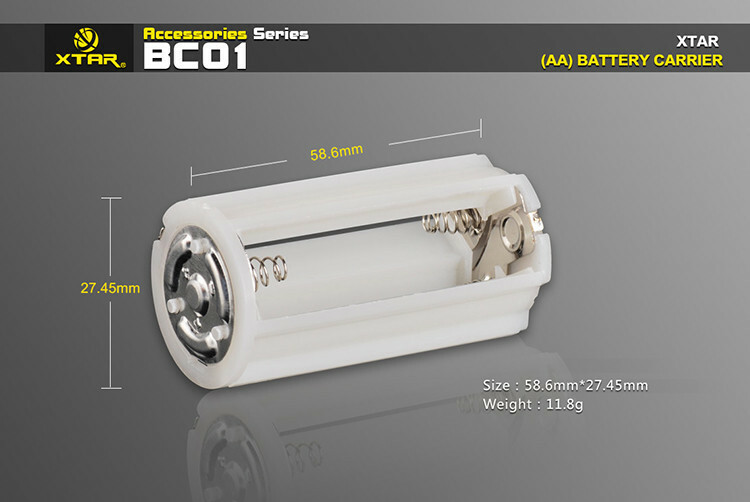 The holder acts as a battery where you can draw the power and charge your mobile phones such as your iPhone or Galaxy as well as many other USB devices. 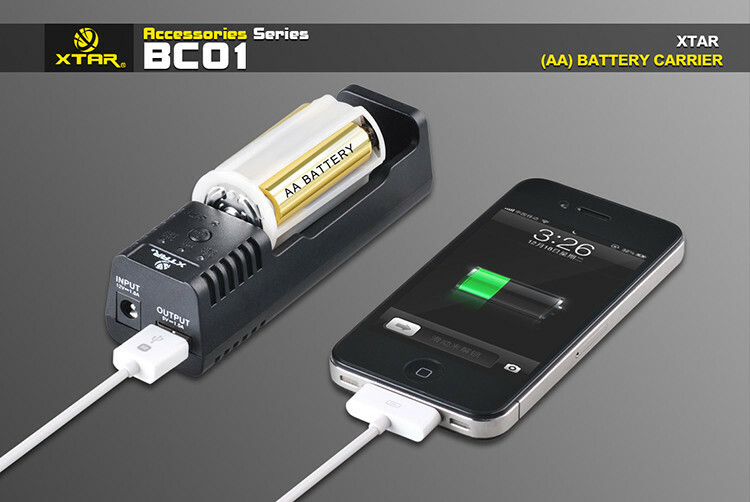 Great for emergencies when there are only AA batteries available and you need to charge up your device.